Look no further! If you want comfortable and modern living quarters with quiet rural ambiance, this is the home for you! Kiowa address but feeds to Elizabeth schools. Come see this well maintained 3 bedroom home with a full finished basement suite - perfect for mother-in-law quarters or rental income. With two large pole barns, in addition to a barn with stalls and paddocks, this property offers plenty of space for horses or other livestock AND auto repair, workshop, storage, art studio, or whatever your heart desires! Incredible sunsets from the private deck with hot tub included! 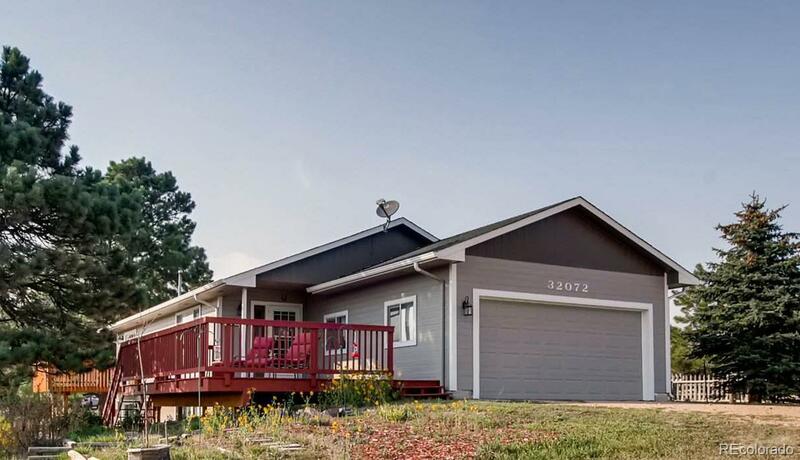 This is rural living at its finest, while only being 10 minutes away from town and all the conveniences. MUST SEE!